​In the still early 2013 we have already succeeded in gaining over ten companies as new customers in the area of contract management. 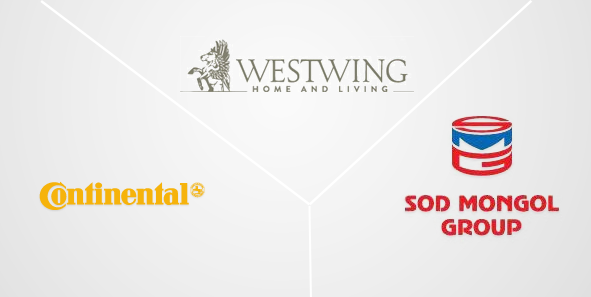 We are very proud that these renowned companies have decided to give us their trust. In the still early 2013 we have already succeeded in gaining over ten companies as new customers in the area of contract management. We are very proud that these renowned companies have decided to give us their trust. These include Continental AG, Westwing Home & Living and the oil company Sod Mongol Group who now organize their contracts with the help of our contract data base. We first provided our new customers with a complimentary demo of Simplessus Contracts. Simplessus Contracts is modern software that makes contract management pleasantly manageable. All of their contracts are stored electronically in a contract data base in the form of individual contract files. With the help of this central management they always have an overview of all appointments, deadlines, costs and income. Simplessus Contracts can be adapted to your individual wishes and needs without a problem and its operation is child's play. Installing the software is not necessary, you use it simply and easily with your browser. We don't just offer the best price-performance ration to our customers, but also highly competent consulting thanks to years of experience in this area - regardless whether small company or corporation. After introducing the solution custom-made for your needs, our support is at your side with advice and actions. Do you also want to simply and easily manage your orders with our contract data base? Contact one of our friendly consultants today to profit from Simplessus Contracts. * What is 8 + 6 ?